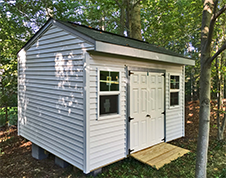 Visit our gallery of Potomac sheds to see creative ideas of this design. 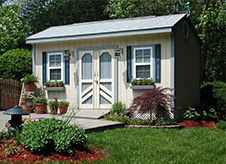 Visit our gallery of​ Elite sheds to see creative ideas of this design. 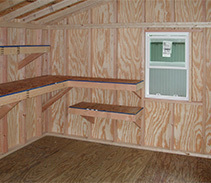 You design the interior to fit your storage needs. Visit our gallery ​​ of Interior Designs to see the creativity of our customers. 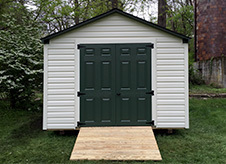 We strive to give the best quality shed for the price. Visit our Construction Features page.